Image Size: 135mm x 125mm (image size does not include paper border, mount and frame). Format: Giclée Print, [ed. size 850] on 310gsm thick 100% cotton rag. Hand-numbered and hand-embossed. Price: £49.00. 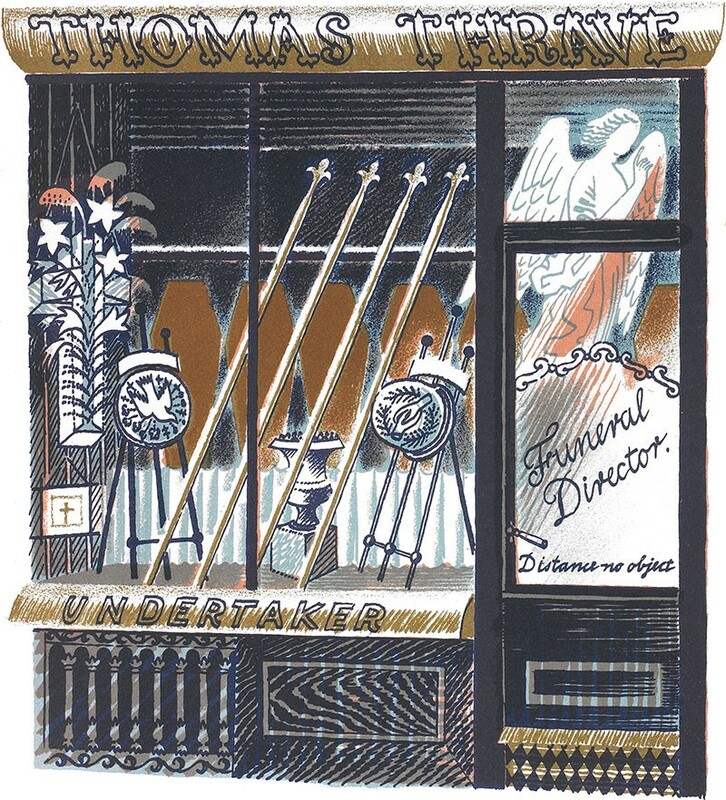 Lithograph for High Street, 1938 - A collection of illustrations of pre-war shops in a book published by Noel Carrington, adviser to Country Life Publications. The concept began as an idea between Eric Ravilious and Helen Ninyon in 1935 for a children's illustrated alphabet of 26 shops.